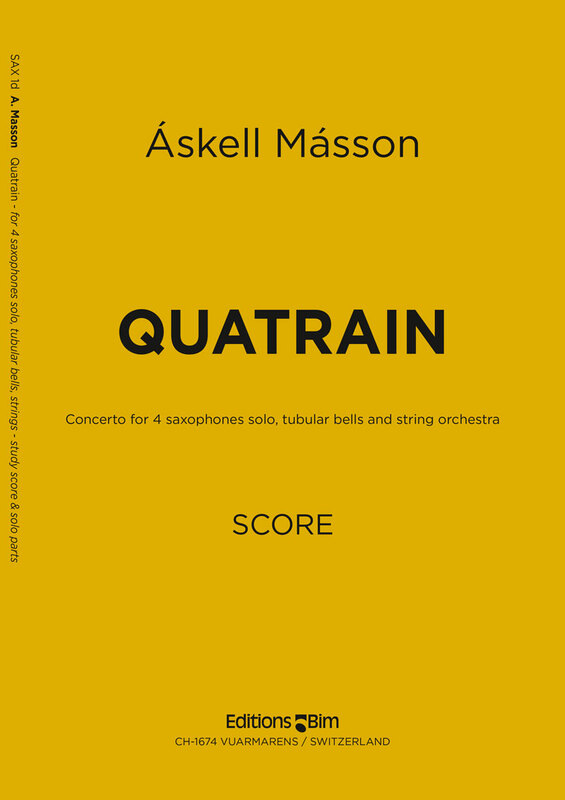 QUATRAIN was composed at the suggestion of Petri Sakari and the Rascher Quartet with funds from the Composer´s Fund of the Iceland State Radio. The work is in one continuous movement and the solos and cadenzas are evenly spread between the four saxophones. The ensemble playing is both kontrapuntal and in soft and evenly sounding harmonies. The interplay of the soloists with the group is often not just concentrating on melodic material, but also on timbre. 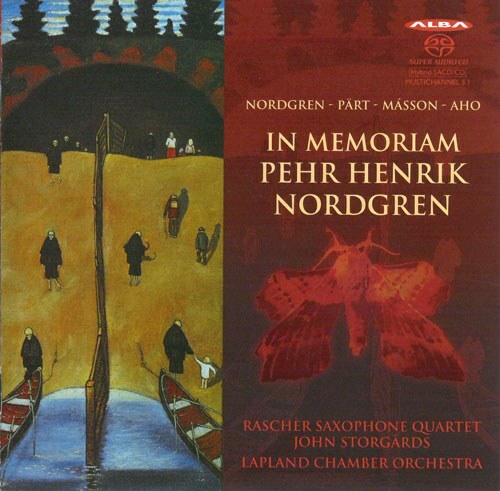 There are two main themes in the work: one is a bass line which evolved into a folk song and the other is a melody sung to a dance-tale in the 16th and 17th centuries in Iceland. The text was often describing a story which was also mimed and/or danced out. The melodies to these texts were constantly changing so this was a real living tradition. This particular one is called «Ásu kvaedi» or the tale of Ása.